On entering Bakfickan, I was welcomed by the lively informal hustle bustle atmosphere. What struck me first was that the restaurant was really busy, although this should have been expected as it was lunchtime. The main seating area was like sitting at a bar and it had a nice feel to it. Even though I was seated among strangers, everyone was friendly and it actually made it a nicer dining experience to dine like this. There were also some window seats which had nice views of the colourful church. 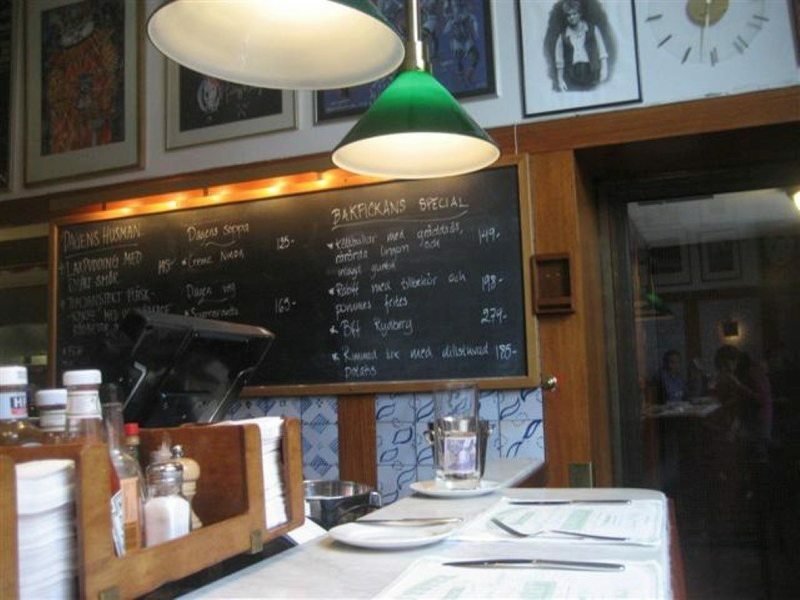 Once I had taken a seat at the counter, the waitress presented me with a big tray of bread. There were different varieties of bread and also crackerbread. It was good that I could take as many slices of the bread as I wished. I had some of the walnut and seed bread. The bread was really soft and fresh. The asparagus risotto took my fancy and it was a big portion. 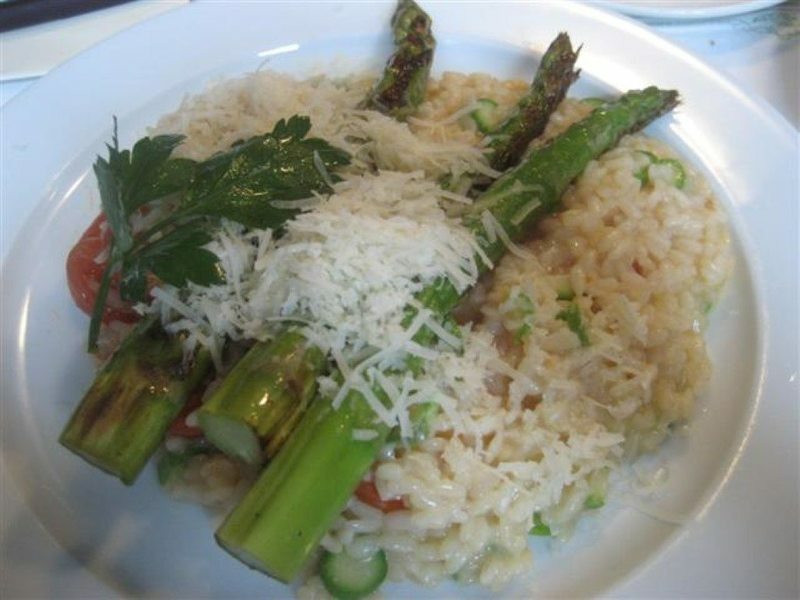 As well as having plenty of asparagus, the risotto was made more interesting with cooked cherry tomatoes. The risotto was presented well with big spears of chargrilled asparagus. The asparagus was cooked perfectly and the tomatoes were sweet and juicy. Bakfickan has the bar area in the middle with a good display of wines, fresh strawberries and trays of chocolates. 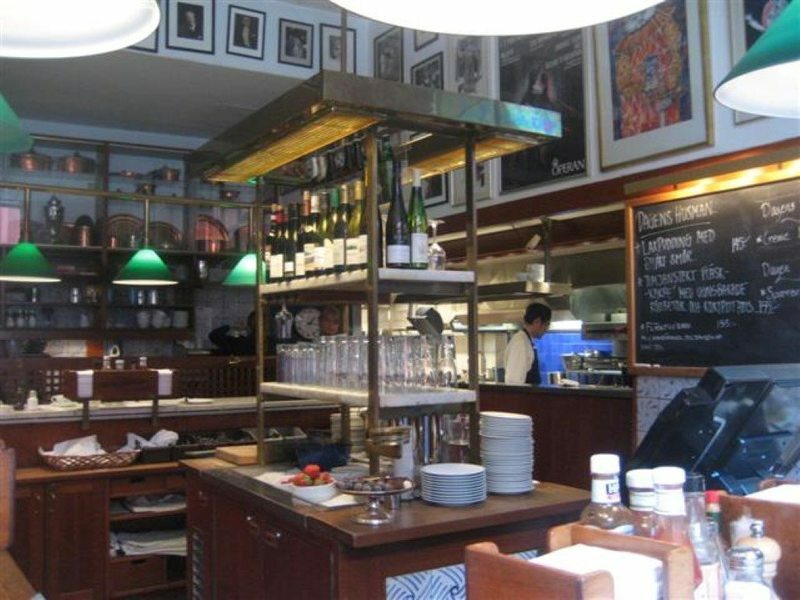 It’s good that the kitchen is also visible from the counter seats. There is a cool wooden tray with napkins and condiments, that can be slid from one end of the table to the other, so that all the customers have access to it. The staff were really friendly and welcoming. 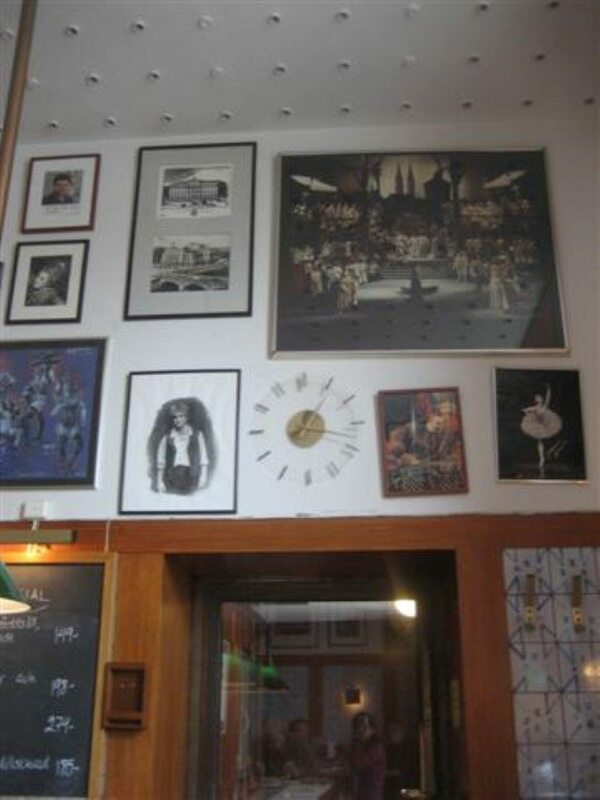 As for the decor in Bakfickan, the walls were appropriately decorated with framed photos and posters of opera stars. 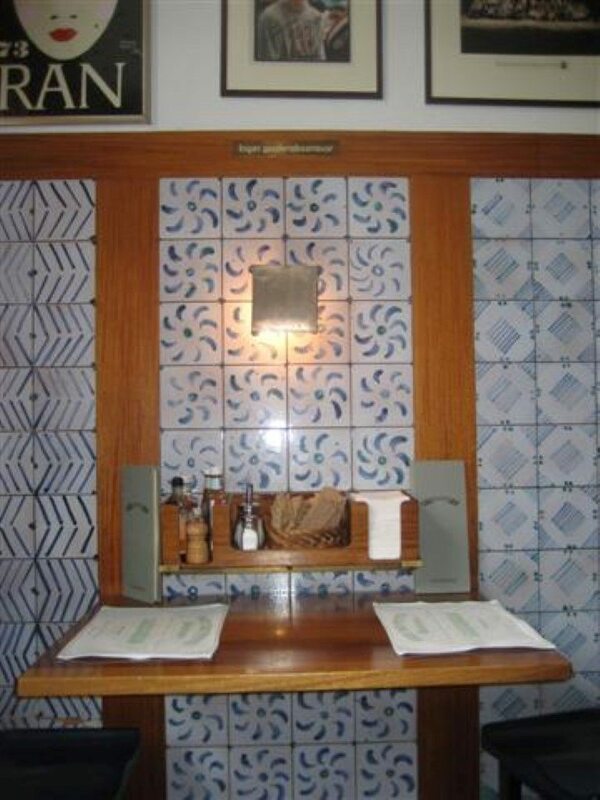 The furniture was a mixture of brown tables, blue seats and blue and white tiles. After the lunchtime rush, Bakfickan took on a quieter relaxed atmosphere. To finish my lunch, the green tea was just right. It was served in an iron teapot. 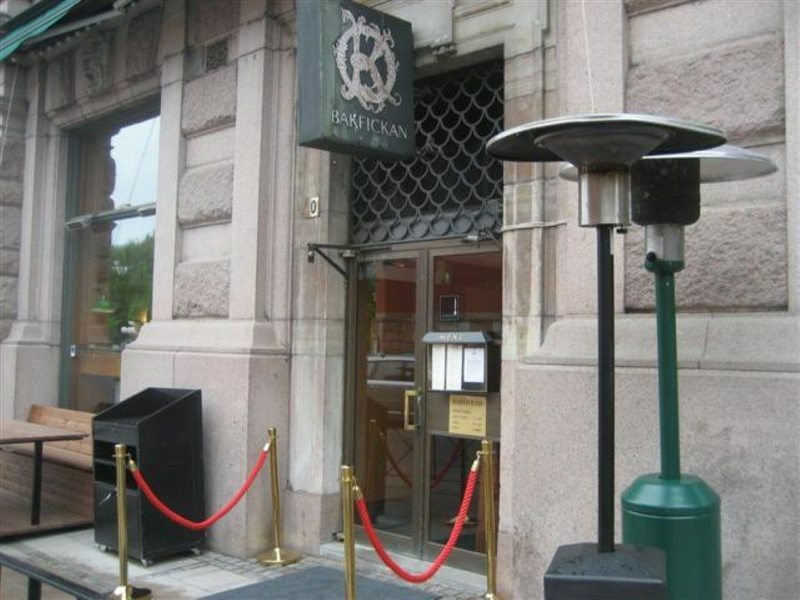 Backfickan is a really enjoyable place to go for lunch. I can understand why this place is so popular. Bakfickan maintains its informality by not taking reservations.